Horses are the engine of the New York economy? Teenage male flies with a penchant for female flies in skimpy lingerie? Pigeons, well being pigeons? 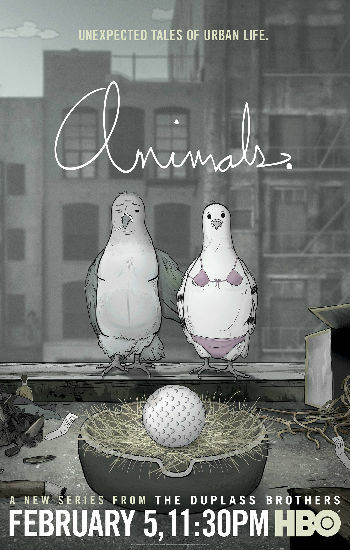 There’s so much to love in just this 45 second snippet of Animals, an adult comedy show from the Duplass Brothers (Togetherness) that combines the charm of Aardman’s Creature Comforts with an amusingly gritty look at life in a big city where the animals are doing it as tough as the rest of us. 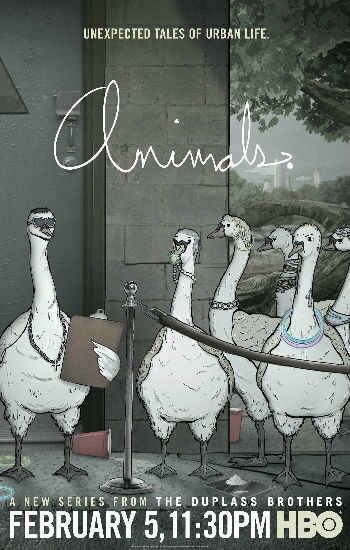 Picked up by HBO for a two season deal after the first two episodes of the series were shown at the Sundance Film Festival in 2015, Animals is channelling a little bit of Bojack Horseman, albeit from completely the other end of the socio-economic spectrum. 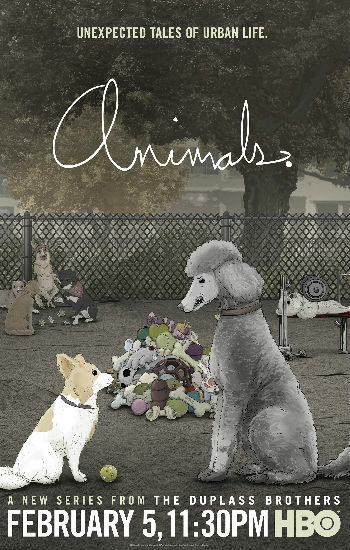 There looks to be some incisive social commentary and deadpan wit in display and with the likes of Adam Scott, Ellie Kemper, Aziz Ansari and Wanda Sykes providing entertaining vocal work, Animals looks like it will be another HBO show worth laughing at and thinking about. After all, deep down we’re all animals right? This show just proves it. 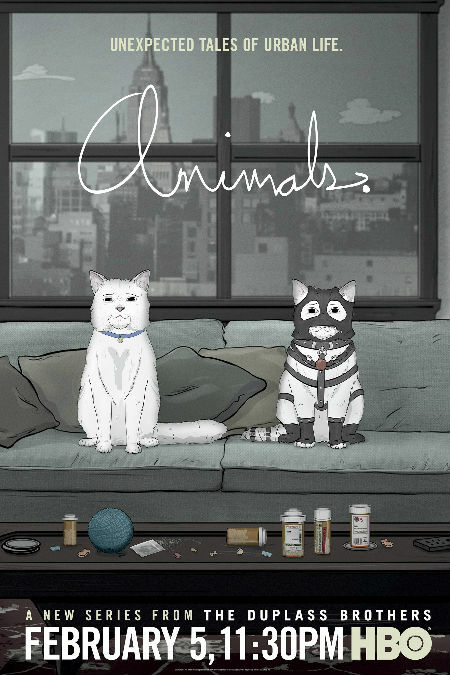 Animals premieres 11.30pm on 5 February 2016 on HBO.